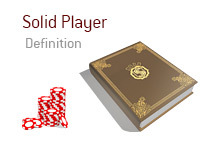 What is a "solid player" in the game of poker? What is the definition of the term "solid player"? In poker, a "solid player" is a player who has a strong grasp of poker fundamentals and plays the game well. "Solid players" usually employ a tight/aggressive style as their base, while also mixing up their play in an effort to confuse their opponents. 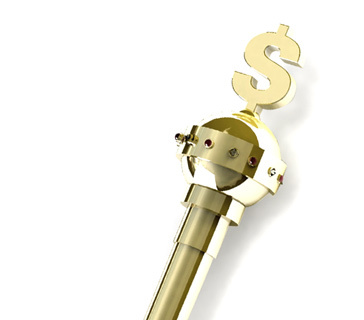 You have been playing in a $1/$2 NLHE game at your local casino for the last three hours. You have a pretty good read on all of the other players at the table. There are three tourists who are all pretty bad, and the rest of the players at the table are all solid regulars. In this scenario, you obviously want to get involved in as many hands as possible with the bad tourists, as you will be much more likely to win a hand against them compared to the solid players.